Our range of products include foot operated scrub. 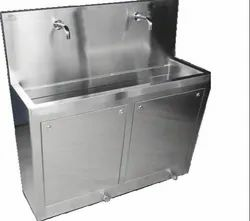 Overall approx size: W 558mm x D 457mm x H 1245mmLength as per requirement.Fully stainless steel. Looking for Foot Operated Scrub ?